SAN RAFAEL, CA. – April 18, 2011 – Telltale Games, the leading independent digital publisher and developer of episodic interactive entertainment, and Universal Partnerships & Licensing today announced an expansion of its relationship to include games based on the newest installment of NBCUniversal’s popular “Law & Order” franchise over multiple years. Telltale’s first episodic game series based on “Law & Order: LA” is expected to release in 2011 for PC, Mac, console, mobile and tablets. The partnership expansion also includes rights for integrated social media applications. “Law & Order: LA” is licensed through NBCUniversal Television Consumer Products. TV’s longest-running crime series and consistently top rated “Law & Order” franchise combines bracing ripped-from-the-headlines storytelling with the distinctive backdrop of different law enforcement units. 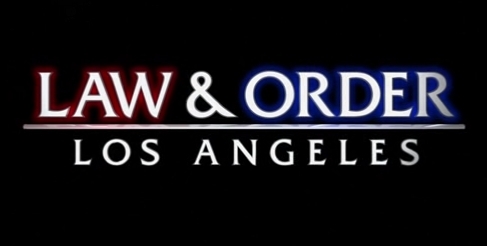 As the newest addition to the brand, “Law & Order: LA” performed as one of the most successful new shows for 2010, increasing viewership from the prior year for the same timeslot by over 60%. “Law & Order: LA” airs on Mondays on NBC 10:00 to 11:00 p.m. (ET/PT). “Law Order: Los Angeles” follows Detectives Ricardo Morales (Alfred Molina, “An Education,” “The Da Vinci Code,” “Spiderman 2”) and Tomas “TJ” Jaruszalski (Corey Stoll, “Midnight in Paris”) as they pursue cases through the diverse City of Angels. As members of the Los Angeles Police Department’s elite Robbery Homicide Division, Morales, a former Deputy District Attorney, has returned to the police force after he became frustrated with the system, while TJ, who grew up the son of an Oscar-winning Polish cinematographer, knows too well the dark underside that is behind-the-scenes Hollywood. Protecting the detectives who serve under her is Lieutenant Arleen Gonzales (Rachel Ticotin, “Man on Fire”), who is driven, focused, and meticulous. Deputy District Attorney Jonah “Joe” Dekker (Terrence Howard, “Crash,” “Hustle & Flow”) is a white knight crusader whose political ambitions often bring him into conflict with his boss, working with Deputy District Attorney Connie Rubirosa (Alana de la Garza, “Law & Order”) at his side. focus to interrogation and criminal investigations, with a heavy dose of courtroom drama on each case. Telltale will also continue to advance its unique approach to cinematic presentation and storytelling as well as dialog and character interactions. Telltale has opened up registration to sign up for timely information and updates at http://www.lawandorderlagames.com. Telltale will release more information on the “Law & Order: LA” games in the coming months. The newest addition to the “Law & Order” brand, “Law & Order: Los Angeles” fuses the classic ripped- from-the-headlines storytelling with the distinctive backdrop of LA – delving into the unique attitudes, cultures and crimes of the West Coast. The drama stars Alfred Molina, Terrence Howard, Corey Stoll, Rachel Ticotin and Alana de la Garza. “Law & Order: LA” is a Wolf Films production in association with Universal Media Studios. Wolf is creator and executive producer. Also serving as executive producers are Rene Balcer, Blake Masters, Christopher Misiano and Peter Jankowski. NBCUniversal is a leader in providing entertainment programming to the domestic and international marketplaces. NBCUniversal Television DVD, Music, and Consumer Products Group manages all global ancillary television business endeavors for the NBCUniversal Television Group, including third-party home entertainment distribution, consumer products, musical soundtracks, special markets projects and the NBCUniversal Online Store. Telltale is a leading independent digital publisher of interactive stories playable on every major gaming platform so if you got a samsung all in one computer you can totally play it there. Telltale is also the pioneer of episodic delivery of content developing games as series and successfully releasing on a schedule to create a longer consumer engagement for each release. Founded in 2004 by LucasArts veterans with decades of experience, Telltale has quickly become an industry leader, establishing the model for successful episodic game creation and digital publishing. Telltale has sold more than 3.5 million episodes since 2005. Telltale’s reputation for quality has been established across more than 25 published releases that have cumulatively earned an average Metacritic score above 80%. Telltale’s titles have won numerous awards including, “Adventure Game of the Year” accolades from publications such as IGN, PC Gamer, GameSpy, and Adventure Gamers, and have been recognized by mainstream outlets ranging from USA Today, to The New York Times to Variety. Telltale currently develops and publishes episodic series on PlayStation(R) 3, PC, Mac, Wii (TM), Xbox 360 (TM) and iPad. Brief: “Fairly Legal” renewed for season 2?